The new year is here and if you’re like many people, your lawn is just about the last thing on your mind. The weather is anywhere from nippy to downright freezing, and your landscaping may be covered in snow. You’re probably thinking that there’s nothing do about your yard but stay by the fire and look through catalogs of the flowers you can plant in spring. But if you’re looking forward to a lush garden and carpet of grass bursting forth after winter is gone, there are a few things you can do now to help it along. Here’s a guide to taking care of your lawn all through the year. If you’re in a climate zone where winter brings bitter temperatures and snow, enjoy the respite from lawn care. You’ve got enough to do with shoveling paths and staying warm. But do stay off the lawn and certainly don’t drive or park on it on it because even heavy foot traffic on snow-covered grass is going to lead to compaction of soil and roots that will restrict grass from growing later. In more moderate climate zones, cut down your watering schedule since there are fewer hours of daylight and usually some precipitation. If you don’t have “smart” irrigation controls, remember to adjust sprinkler timers and be aware of weather forecasts, so you’re not wasting water when it’s going to rain. Whatever the weather, you can spend some time getting your tools ready for spring. 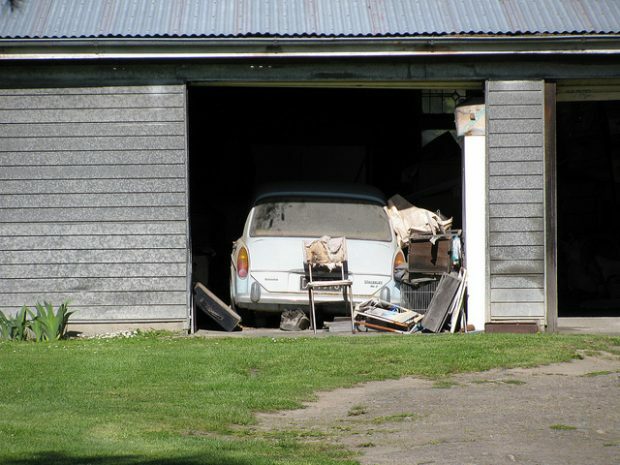 Scrub off old dirt, remove rust, lubricate pivot points and sharpen blades on hand tools and your mower. 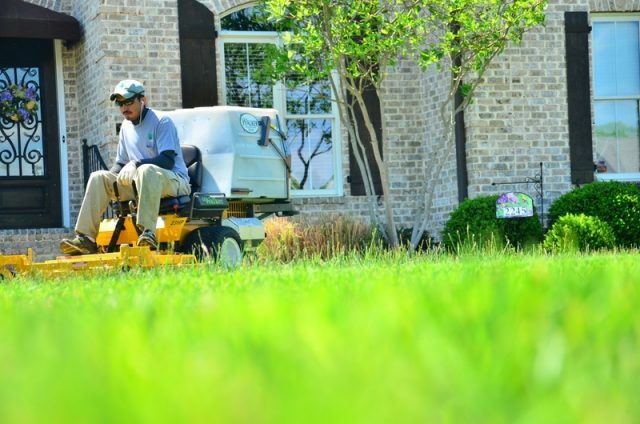 This is when your lawn needs the most care, and doing these jobs will help to guarantee a beautiful lawn through the summer. Rake energetically to remove surface leaves, dead grass, thatch and debris. Aerate the soil to open up your lawn to receive nutrients and adequate hydration. Test and correct the pH. Grass does best in neutral pH, so adjust soil that’s too acidic or alkaline. Pre-treat for weeds. You’ll be glad you stopped them before they started. Fertilize to give your grass a vigorous root system and the energy for a long growing period. Overseed if you’ve got a cool season grass like bluegrass or turf-type tall fescue, but then don’t pre-treat for crabgrass and weeds because the products that stop those seeds from germinating will stop the grass seed, too. You can read more about overseeding your lawn on the list for Fall. When the weather is hot, the most important things are watering and some light maintenance. Water in the morning after the dew has dried; having the lawn continuously wet can encourage certain fungal diseases. Water deeply rather than frequently, making sure your lawn gets an inch of water each week. Mow regularly, cutting only one-third of the grass blade height each time. The higher the grass, the deeper the roots are, and the more moisture they retain. Leave the clippings as mulch and to shield the soil from sun that will dry it out. Control weeds by hand-pulling annual, shallow-rooted weeds and doing spot treatments on hardier ones. After summer weather subsides, these are the jobs that will prepare your lawn for winter and regrowth in spring. Overseed in early fall after the stressful heat of summer has ebbed. This entails sowing the seed over your entire lawn, not just the areas that are bare or thinning. The process will improve the density of the lawn, revive its color and improve its overall health, making it stronger and more able to fend off weeds. Fertilize again now if your turf is on a twice-a-year schedule and you fertilized in the spring. The grass will benefit from the extra nutrition as it gets ready to go dormant for the winter. Pre-emergent weed control may also be a good idea, depending upon where you live. Weeds may not sprout until early spring, but perennial varieties will be actively growing roots and storing up energy for their reemergence. Mow until the grass goes dormant, and then store your mower until spring. Clean up by raking weeds and debris, and remove lawn furniture, so it doesn’t compress the ground and welcome pests and disease. For more useful information, check The Lawn Institute for tips to keep your lawn healthy and thriving. Remember when you were a child in grade school and you planted a seed in a small cup of dirt, watered it for a few months, and then watched it grow into a full-grown plant? It was a simple endeavor, but it probably gave you a lot of fulfillment, even as a kid, to be responsible for something so tiny and be able to nurture it into something more. 1. Choose a specific time for planting. Most gardening experts recommend planting after the soil has dried—that is, after the ground has thawed from the effects of winter. 2. Start making your bed. 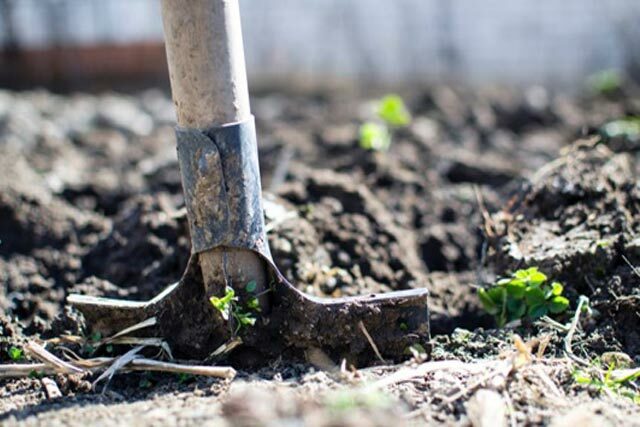 Three weeks before you’re set to start planting, prepare the ground by sinking a fork into it and loosening the soil to about twelve inches below the surface level. Then take a half-inch of compost material and layer it all over your bed. Rake all over the surface until there are no weeds, clumps of dirt, and big stones. 3. Start digging holes for the seeds. If you like to have a bit more symmetry and order in your garden, you can carve out shallow furrows or trenches with a hand trowel or a hoe. Or you can set up your garden in a grid form. 4. Lightly water your plot, but do it so as to just moisten the soil a bit. The purpose of watering the plants before sowing the seeds is so that the seeds do not get drowned or swamped out of their holes if you water after sowing instead. 5. When sowing the seeds, make sure you don’t plant them too closely. Seed packets will usually tell you the specific distance you should plant them apart from each other. If you’ve dug a trench, spread the seeds all over it; if you’ve created planting holes, put two or three seeds in each hole. Sprinkle soil on the seeds afterward, pressing gently to make sure they are firmly embedded in the soil. 1. Mulch – Organic mulch is comprised of things like dried grass, straw, and shredded leaves. You should spread a thick, two-inch layer of this on the ground surrounding your plots so as to deter weed growth. Mulch has the added bonus of nourishing your soil as it slowly decomposes over time. 2. Hand-Pulling – This may sound like a lot of work but it’s something you need to do to prevent the weed situation in your garden from getting out of control. Pulling out a few weeds every day is much better than just waiting around till the problem gets bigger; then, you’ll have a much harder time getting rid of them. 3. Corn Gluten – Spreading corn gluten meal is another thing you can do to discourage the growth of weeds in your garden. Corn, when it is processed, produces corn gluten as a by-product, which inhibits weed growth and fertilizes your soil at the same time. It is also an environmentally friendly product as it is safe for both people and animals. Your garden’s layout will influence the way you water in that, for instance, a plant that requires a lot of shade will require a lot more water if you put them in a sunny spot. When planning your garden, consider the specific needs of your plants and try to group them according to those needs. Watering in the early morning or the early evening—when temperatures are much lower—will help your plants to retain much of the moisture from your watering. When watering, direct your spout or hose at the soil around your plants. If you want to get really green, healthy, well-nourished plants, try to practice the rainwater harvesting technique—a practice in which you’ll gather rainwater in storage containers like those provided by Rain Water Tanks. Rain is the purest kind of water there is, unlike the water that comes from our taps, which is full of all sorts of chemicals. Planting your own organic garden requires a lot of hard work. But that doesn’t mean you can’t enjoy the process. You can build your own garden room, to which you can retreat after working so hard planting and watering and weeding. For a pet lover, there’s nothing like coming home to a sloppy kiss or a friendly purr from a furry friend. It’s important to those who love pets that their animals are happy and healthy. 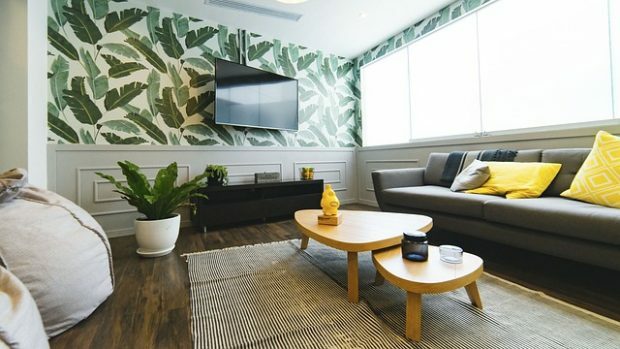 Many don’t realize how easily some deadly hazards can be disguised as ordinary objects around the home. 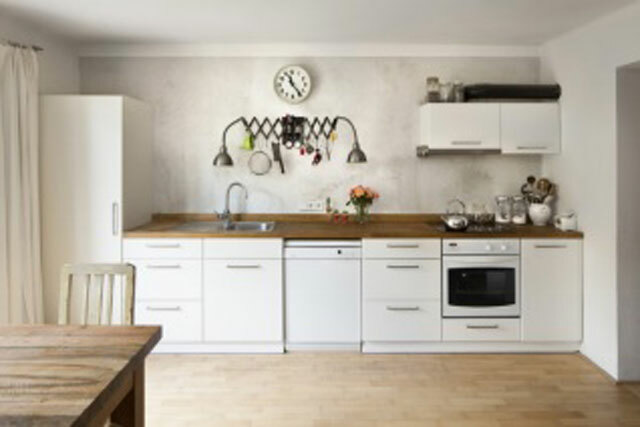 Discover some pesky items that should find a new home for a pet-friendly haven. Pets that have the rule of the roost often have the opportunity to make their home indoors. It takes just a few weeks for dander, feathers, and hair to clog filters and cause a less-than-inviting odor. 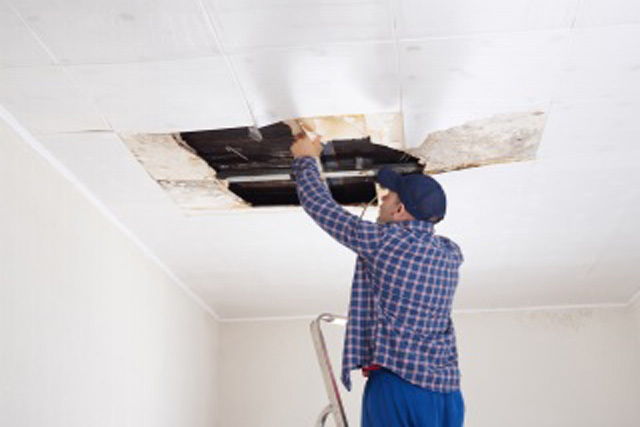 Clearing out HVAC air filters can make a significant change to indoor air quality. Both pets and their owners need clean air to stay happy and healthy. Animals who have been given the garden as their domain are often faced with strange critters and creatures to contend with. But it’s not only the creepy crawlies that can affect a furry friend. 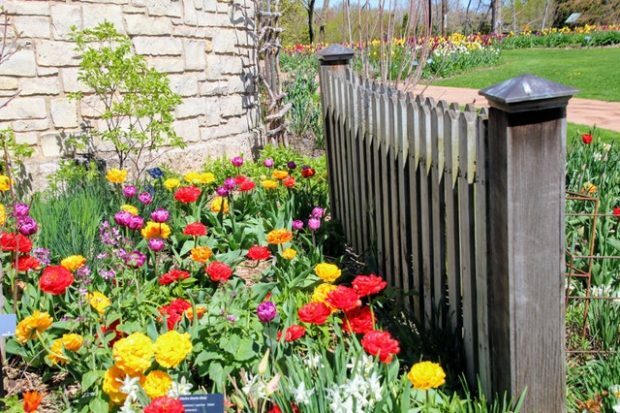 Those who like to dig up their owners’ handiwork in the garden may be in for an uncomfortable surprise when they go near dangerous plants such as tulips and yew. Feathery friends are not out of danger, either. It’s not only diet and clean water that keeps birds healthy but also complete avoidance of aerosols. Then there’s the surprising threat many bird owners may not be aware of: the self-cleaning oven, which can emit gases that can kill birds. But with all the hazards out there, pets and their owners still have much they can enjoy together. 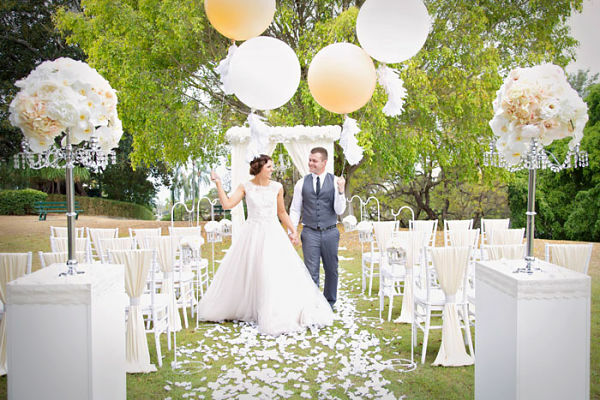 Brides select colors based on personal taste, however, garden wedding decoration means that half of the color theme and selection work is done. To make the shades blend with the natural surroundings, select a floral based color palette. A warm, soft yellow and pale pink combination not only imitates flowers, but also looks different from the greenery. 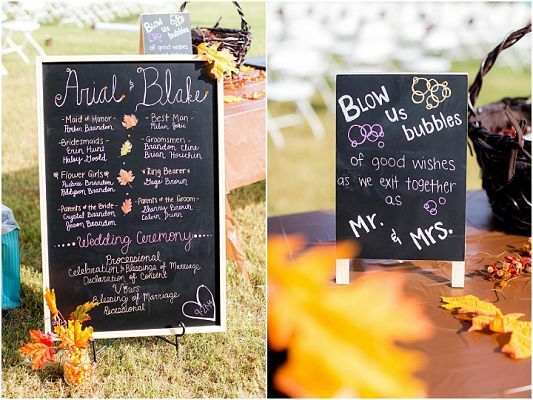 Decorate your wedding ceremony with beautiful wedding quotes and announcements in the form of wedding signs. 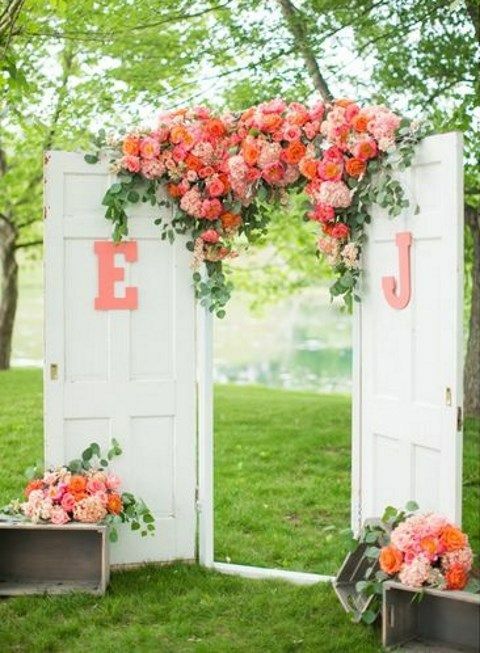 Add garden flowers on top of the signs to give a romantic touch. Add different floral details and décor to make the moment of walking down the aisle a truly special experience. 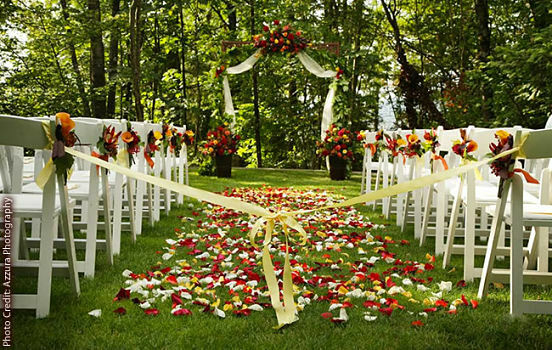 You can also scatter flowers and add garden details to make for a beautiful outdoor wedding ceremony. Try out pink frosting aisles. Not only they create a personalized path but also gain a lot of attention to make for an excellent ceremonial debut. 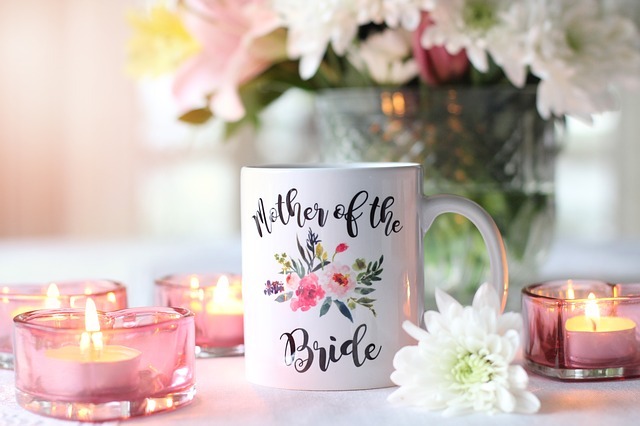 With your names and wedding date interlocked in a heart design in a color of your choice, they add the perfect romantic and finishing touch to your wedding ceremony. Using simple floral designs that match with the entire theme and style is one of the finest ways to adorn and make your outdoor wedding appear like a flowery garden. 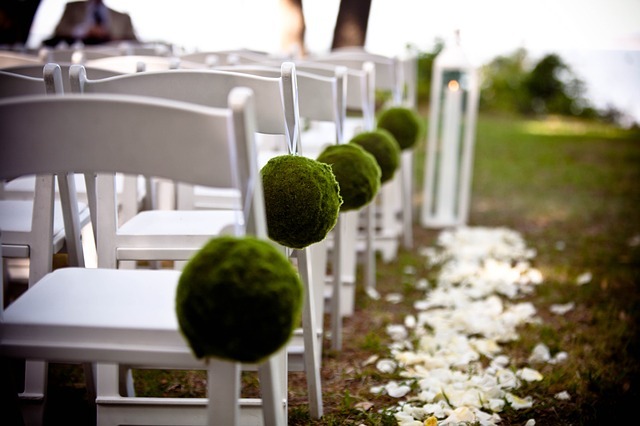 Floral design is in fact one of the most simple, common yet effective garden wedding decoration ideas. 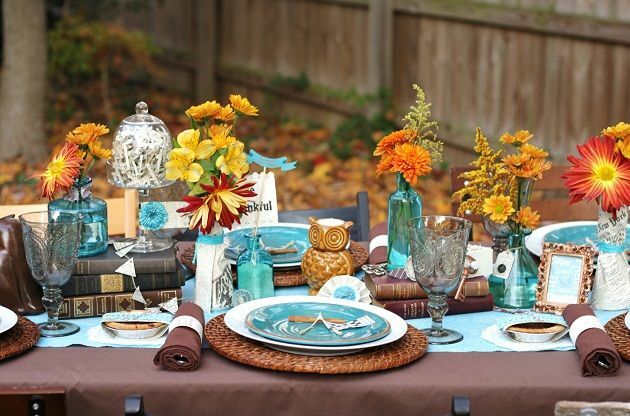 With colorful and flowery embellishments, do not forget the table settings. Beautify the dinner plates with a few guest favors, a paper doily with a menu on the top of napkins. Throw in some candy filled tins, decoratively washed tape with a scrapbook decoration matching with the theme. 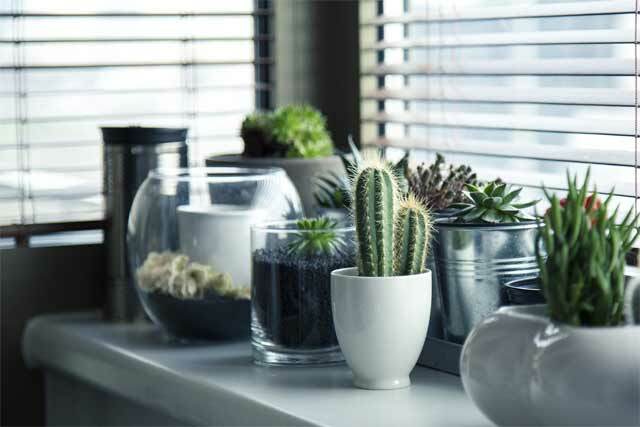 Place flower vases at both sides of the table for a simple and attractive look. 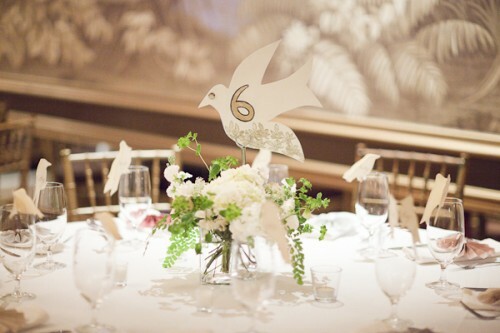 You can also get creative with table numbers. Use decorative items such as frames, moss sheets and letters made from card boards for an innovative expression. Image Printed items such as menu cards, table signs and direction symbols help in rendering a pulled together look to an event. 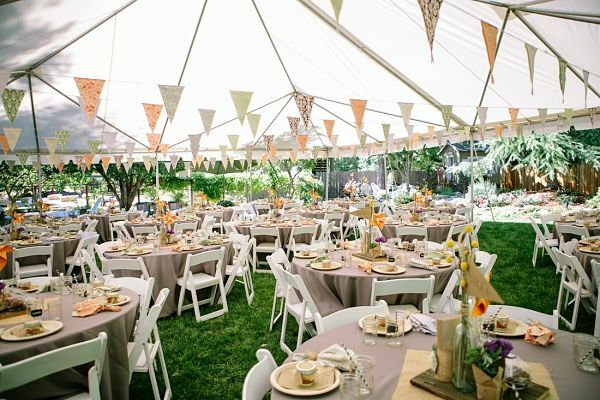 Using a coordinating collection throughout the event assists in tying different areas within a large space. However, make sure the printed pieces complement the event’s design instead of competing with it. 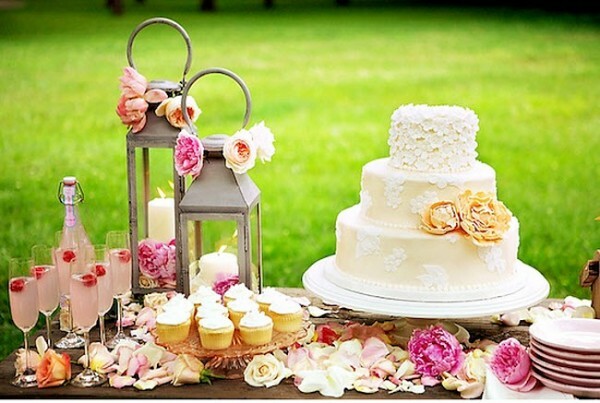 Wedding cake is the focal point at reception, but as per current trend, it needs to be enhanced with an auxiliary table set of goodies and sweets. Setup a late-night snack table with a collection of treats which guests can munch or pack up after the party. Donuts and brownie pops are a good choice and can easily be arranged in a little time. Add some candies for more variety and color. 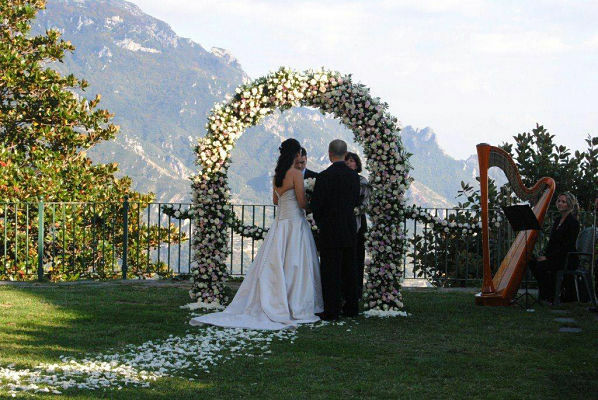 There are some simple ways to make an out-door wedding more personal; for instance, good-looking fabric drapes hanging over branches of trees, wooden doors and a tree trunk covered with an incredible flower wreath are some excellent ceremony backdrop ideas. 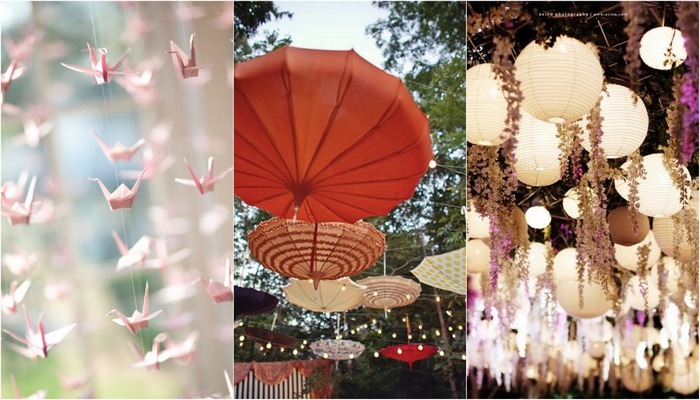 Arrange a few colored paper fans to keep the guests cool at your wedding if it happens in the summer season. These small wedding details add timeless elegance, capturing the cool breezy summer attitude for a celebration at anytime of the year. 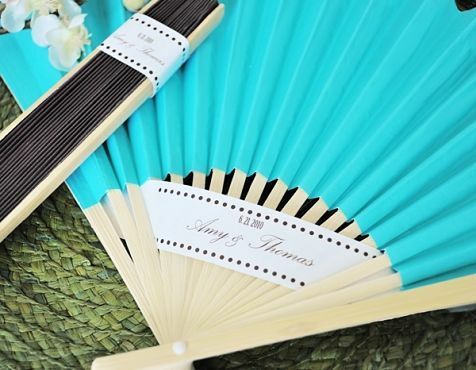 The fans are available in multiple shades to match with the colors of your wedding theme and décor. Outdoor weddings present a lot of seating choices. From luxurious seating areas to sweetly decorated wings and hay bales, a seating arrangement entirely depends on your taste. 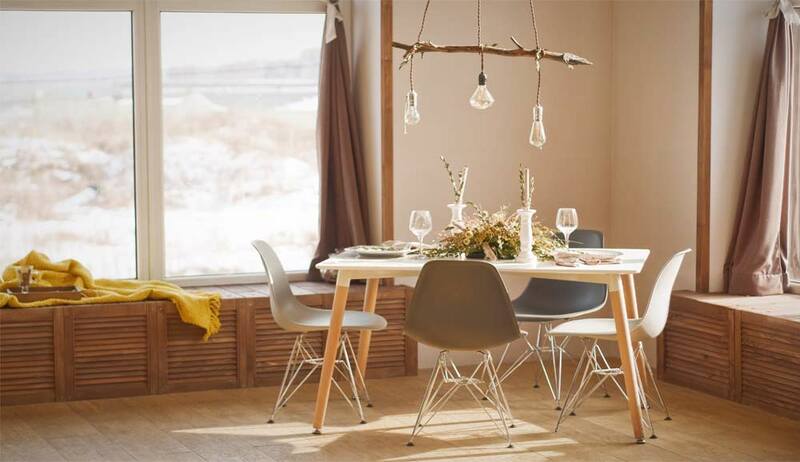 Go for mix matched furniture or ask from friends and family what they have in place. You can also visit a local farm to arrange an alternative seating area on budget. 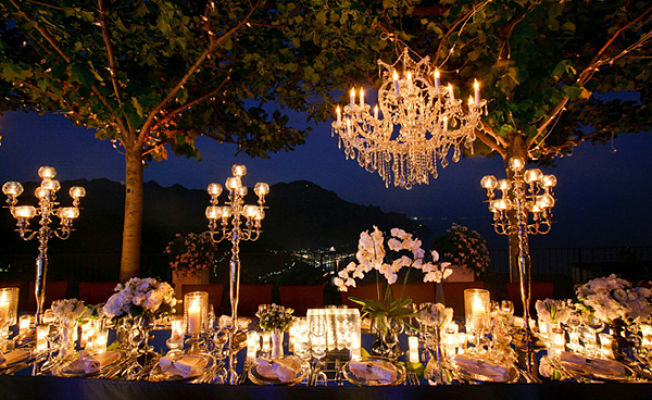 The natural splendor augments the décor of outdoor weddings. Choose an area filled with trees if you can, as this not only adds attractiveness but also provides you a structure for hanging. You may hang glass bottles, floral, crafty hanging frames and books to create a walk down memory lane effect. Tie the items strongly using tough ropes with tree branches to make sure the items do not fall down. Lighting is essential to a perfect wedding day. 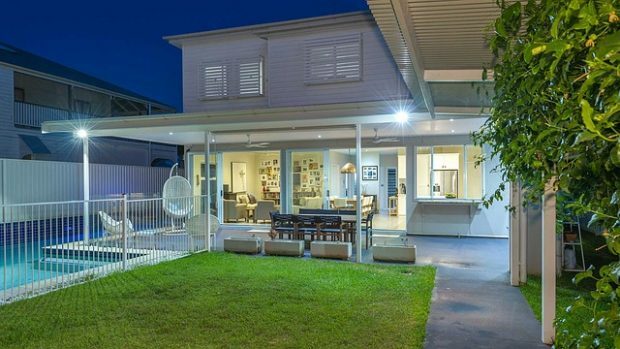 Even though, there are plenty of lighting options available indoors, you need to think out of the box for outdoors. The set up would depend on the day light saving and the season you are getting married in. Use Festoon lighting option to light up the entire wedding space to give an industrial look. 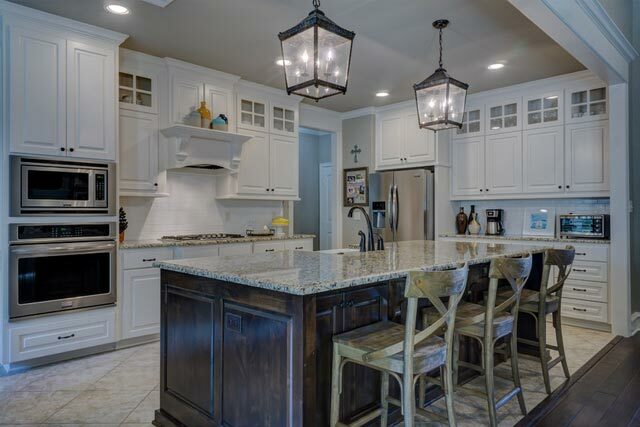 Candles are another wonderful way to light up a space in order to create a romantic atmosphere. Place the candles inside of jars, lanterns and even tables as an additional decorative element. Balloons are significant to all celebrations. Browse a few online stores such as Molls Parlour to get large sized balloons. You can also go with one or two color combinations for a simple balloon décor. Try adding ribbon and pretty strings to complete the celebration effect.